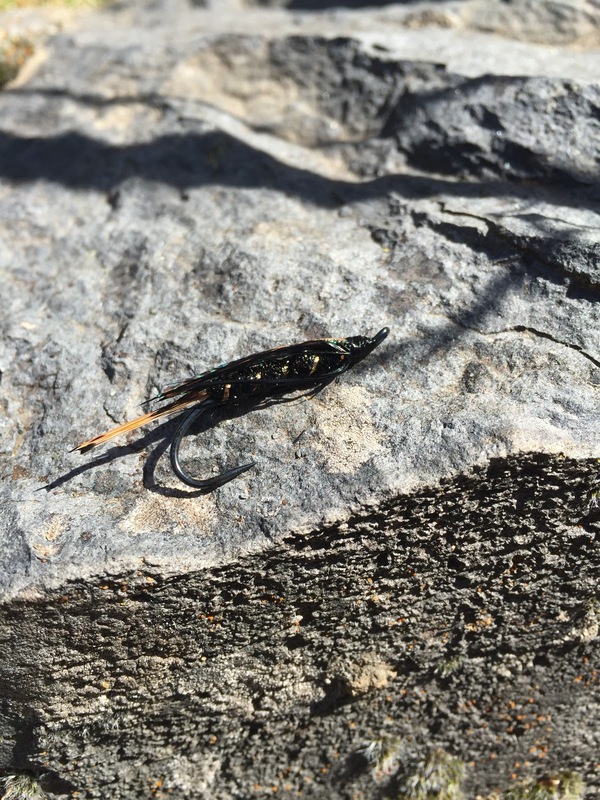 Are you fairly new to fly fishing and heard a little about fly tying? Maybe you thought it was a little too difficult, expensive, or took too much time to get started? I’m hear to clarify a few things for you today and let you know that it’s not as hard as you might think. And best of all – anyone can do it with these 8 fly tying tips. Ok, maybe not anyone but 99% of the people on the planet. I know because I have taught 100’s of people how to tie flies over the years and found that most people easily picked up the basics to get a few flies that catch fish. The struggle isn’t the tying as much as it is everything else we have going on in our lives and how we’ve convinced ourselves that we lack what is needed. I’m here to change that mindset today! Josh Kaufman has a Ted Talk and is the author of the First 20 Hours. The premise is that by completing just 20 hours of focused, deliberate practice you’ll go from knowing absolutely nothing to performing noticeably well. And you’ll know more about this subject than 99% of the people on the planet. (Take a listen of the first chapter of his book here if interested). Amazing right? That means if you spend time this month and put in 20 hours behind the vise you will be performing noticeably well. That’s pretty amazing! If you want to see a really amazing song from an amazing Ukulele player take a look at this clip. I had to get this one in here because this little girl blew my mind (I’m a dad of 2 amazing girls so I love this inspirational stuff). Ok, Let’s get back into fly tying and see if I can convince you a little further. Hatch the Match – This is your chance to “hatch” into a more complete fly angler. You’ve probably heard the saying “matching the hatch” right? Here’s a common struggle for fly fisherman ===> You’re on the river and the fish are taking something that you just can’t find in your box? You are killing yourself trying to figure it out only to finish the evening with very little to show. What if you were able to identify that bug and then tie a fly so the next day you could catch on fire. Customization is one of the biggest bonuses of tying your own flies. Being able to tie something on the river or something at home to test later is where it’s at. Any fly tyer can attest to that. Be like a caveman – start connecting with craft and the feeling of catching a fish on your own creation. I was recently doing an interview with Jay Nicholas who made a great point that we are kind of like that caveman sharpening his weapon before the hunt. Not much has changed in 100k years and the feeling and connection we get from tying a fly and catching a fish on it is visceral and deep. Meditation is hip – Have you ever tried mediation? Maybe you do it now on a regular basis? I know I don’t regularly but there are times throughout the day or month when I get that feeling of meditation from certain activities. When I’m on a long trail run and you get past that point where your mind and body go to another place. This is actually one of the places where many of my best ideas come from. It’s meditative. Fly tying is a similar thing. You kind of get in a zone when you sit down and knock out a box load of flies. Turn on some tunes, have a drink or smoke or do what you need to set the mood. To put you in a different state if needed to create something amazing! Then sit down and meditate like a zen master and become more connected with fly tying, nature and your craft. “The Stewart” Max Canyon Summer Steelhead Variation tied by the author. So, now I’ve convinced you that getting started is worth the effort. If not, that’s ok, just hang with me. What’s the first step? Here are a few things you can do to assure you are successful getting started fly tying this week. The first one is the biggest struggle for most of us – Finding more time in your day. Find More Time in Your Day – We all wonder how we can find more time in the day given that you may have one or two jobs, a family and only 24 hours in a day. It is possible but you have to know how to focus. Leo gives you some good tips here on decluttering your life to find more time for the things you really want to do. Set a Goal – Determine which types of flies you want to learn in the short term. Then set a goal that you will learn and tie one fly per day or one fly per week and stick to that goal to start. Write it down somewhere where you will see it everyday just to make it stick. Tools and Materials – There are a few different ways to get tools and materials for your first kit. You can start by trying people in your network. Do you have any friend or family who might have or know someone who has a kit? If you have a local shop you can start there. But I’m assuming you don’t have that nearby so the next best thing is online. The very basic tools are a vise, scissors, bobbin, thread to get started. The easiest and most effective first flies you can tie is a woolly bugger or woolly worm. There are lot’s of different price ranges for tools but am assuming here you want to start on a budget. You can actually get a decent beginner kit from Cabela’s here. This is a good route to go if you don’t have any connections and just want to get something basic today. (Take a look at the link below if you would like a kit from Dave at the Fly Tying Mentor). Keep it Simple Stupid (KISS) – Start at the most basic level if you are new to fly tying. Don’t overcomplicate this thing. Get materials to tie a woolly worm and start there. Master the basic fly tying techniques first and move forward from there. Here is a link to a video series that walks you through the basics of tying. The audio quality isn’t the best but he does a good job putting the basics in one spot. The First 20 Hours – As noted above, you can become very proficient at tying flies in a fairly short period. YouTube is crazy good with fly tying videos. Check out Tight Line Video for some of the best quality fly tying videos on the web. Tips on using YouTube: Leave comments and try to connect with fly tyers in the video. If you are able to connect you might be able to get some pointers from the YouTube producer and save you a lot of time. Time Block It In Your Calendar – Put it on your calendar everyday and set time aside for tying. Even if it’s just 15 minutes to tie a fly or read a book, making the habitat and doing it everyday is huge. Find Your Tribe – Have you ever heard of a mastermind group? If not, the idea is pretty simple. If you can become part of a group of like minded people you will excel in the subject you are learning. There are lot’s of fly tying groups online and locally. Google Fly Tying Forum and search a few to see one that looks good. You can also search sites like MeetUp.com to find local groups that meet in your area for fly tying, fly fishing or any subject for that matter. 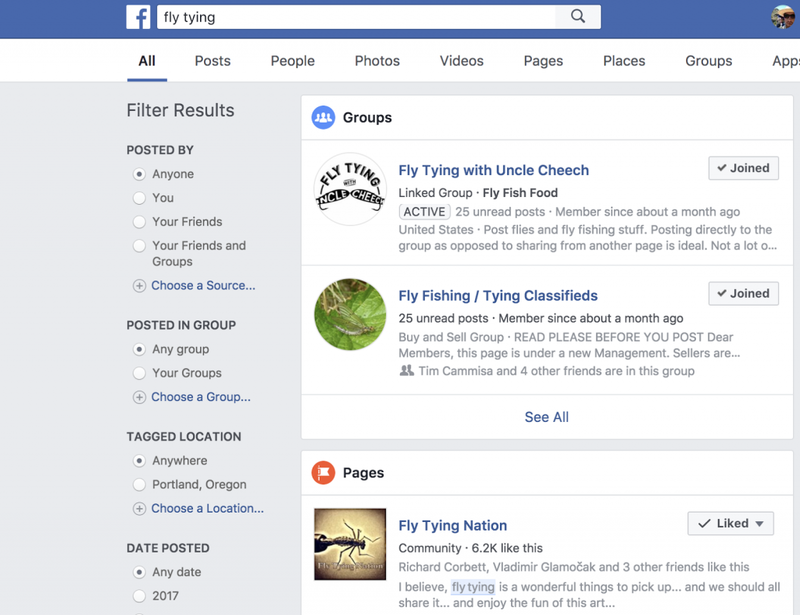 Of course Facebook Groups are the rage these days and are another place to find information and connect with your tribe. Ask for Help – Don’t be afraid to reach out to people at any of the links I listed above. If you are struggling with a technique and can’t find what you need you should ask. Try to find a mentor to help you along. Finding one person or making one connection can be the difference between struggling for months vs finding your new passion and the addiction (In a good way). I am offering a 30 day challenge right now if you are interested in taking some action and making a habit of fly tying. Click Here to join the challenge and get inspiration and tips delivered to your inbox once per day for 30 days. You can focus on tying one fly every day and making that better or you can focus on tying a few different patterns over 30 days. If you have additional questions getting started you can click here and I’ll answer any specific questions you have. I would like you to get started today. Not later this month, not this week and not tomorrow. Let’s start today by using these 8 fly tying tips! Find one thing above you can take action on and get started. Take a look at a video above or make a list of the fly types you would like to tie. If you want me to help walk you through the process with a guided course you can click here to email me directly. I would love to hear back if this article was helpful so please say hi if you have a moment. I would love to help you get started. 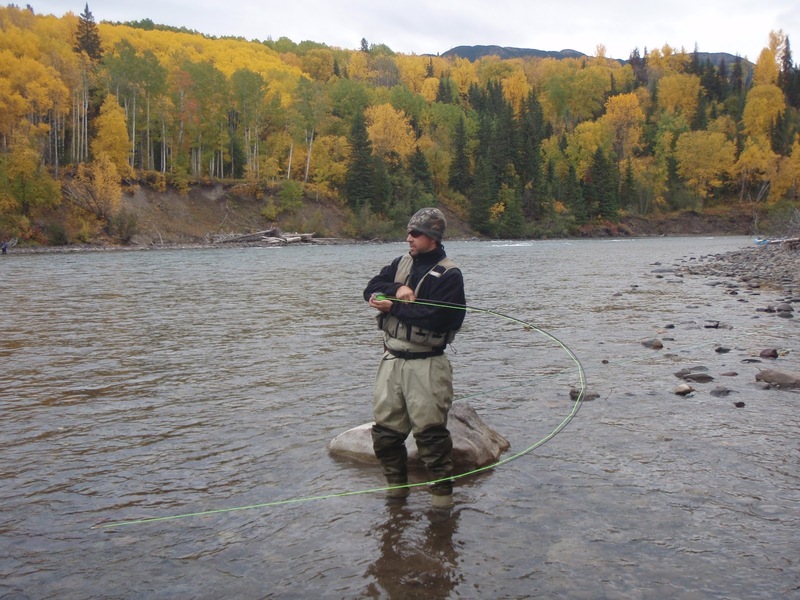 Dave Stewart runs wetflyswing.com where he teaches fly fishing, fly tying and steelhead fishing. Dave is offering a special offer for those reading this article and has a fly tying course that walks you through the basics of tying with an online video course. Click Here to access the Fly Tying Mentor and you can check out the first month for free. If you have questions please send Dave an email at dave [at] wetflyswing.com.